As the professional Fitness Products manufacturer, we can produce all kinds of Casting Fitness Equipment, such as the Cast Iron Kettlebells, Cast Iron Dumbbells, Weight Plates, Barbells and Barbell Bumper Plates. Fast & Safe Shipping, We have our own casting factory, we can guarantee the shipping time. SINGLE CAST, Made from a single piece of cast iron. Most kettlebells have the handles welded on which makes them break easier. Casting from a single piece of metal gives more durability to the kettlebell. FLAT BASE, for easy storage and handling. Looking for ideal 35 LB Cast Iron Kettlebells Manufacturer & supplier ? We have a wide selection at great prices to help you get creative. 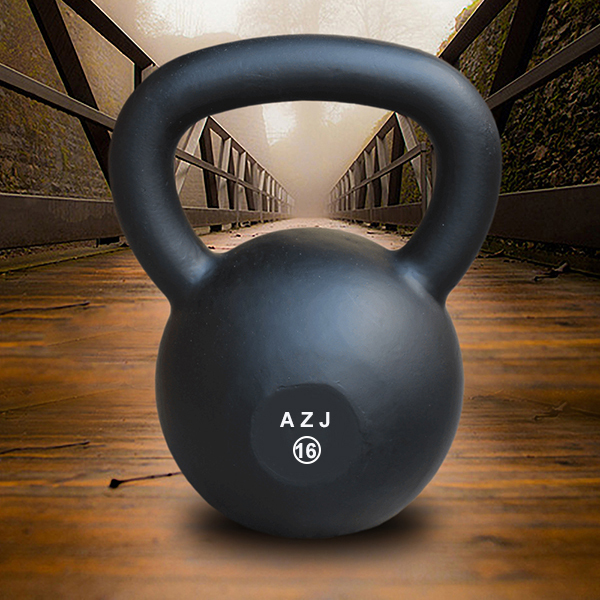 All the 16 Kg Cast Iron Kettlebells are quality guaranteed. We are China Origin Factory of Vinyl Coated Kettlebells. If you have any question, please feel free to contact us.